Sanford started as a family business in Auckland in 1881 and has grown into a company with over 1,400 people. With more than 130 years of sustained growth, we are proud of our history and excited about our future. Holding 23% of New Zealand’s quota and with 49 vessels and 210 aquaculture farms, Sanford is New Zealand’s largest integrated fishing and aquaculture business. Operations span from Stewart Island to Auckland, as well as Australia and China. 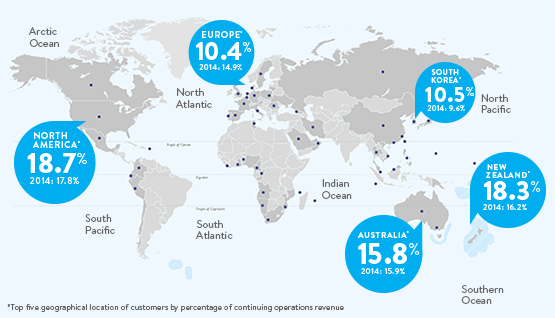 We ship more than 4,500 containers each year, connecting with every continent in the world.